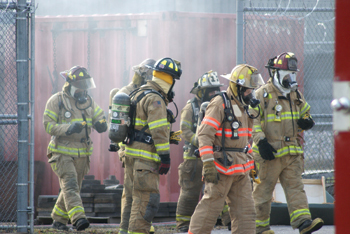 Combustible gases and vapors are the ones that inflame when get to the air and reach the certain concentration. They may have different Lower Explosive Limit, or Lower Flammable Limit, which are the lowest amount of the gas which can keep burning. All combustibles pose a great danger on industrial facilities, oil and gas production, healthcare institutions and many other sites and fields. Hence, the combustible gas detectors are in a great demand among various companies and businesses. The lowest LEL/LFL belongs to the hydrocarbon gas turpentine. Only less than one percent of this gas in the ambient air is enough to start a fire. The least dangerous gas is inorganic ammonia, NH3, its LEL is 15%. The combustible gases can be lighter or heavier than the air, and when working on safety and security of your home or working place, you have to remember that it is important to sample the air on different levels. There are two main technologies of combustible gas detection. The Catalytic Bead Sensor uses a passive principle of action, it has two platinum coils with alumina beads that are processed differently — one of them suppresses the oxidation of gases, and another one has the oxidative qualities. When the electrical current goes through the coils, the bead that oxidizes the gas is heated, the resistance changes, and it is a signal that the analyst is found and can be measured by the rates of the difference of the temperatures of the coins and beads. The first and the biggest problem with such detectors is that they are very amenable to contamination and poisoning, and the sensors may stop working due to aging. The dust, particulate matters, minerals in the water vaporize, greases and oil can subside on the active bead and coin and change its performance, or simply stop its work. 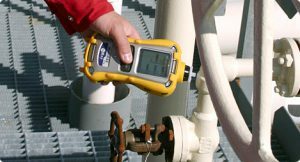 Infrared gas detectors have the source of infrared light and the receiver that measures the intensity of the light on different wavelengths. The presence and the amount of the monitored gases is detected and measured by the difference of this intensity. The advantages of such detectors are numerous, they are resistant to contamination and poisoning, it can work on continuous basis with hazardous gases, it has the self-check and calibration function. In the same time, the catalytic detectors can work in heavy humidity or dusty air, when the light cannot get through, they can detect H2, which is impossible with the IR sensor, and most of hydrocarbons. Usually, modern multi gas analyzers include one of the sensors, thus they have the function of the combustible gas detection. RAE Systems MultiGas, MultiRAE families, Photoionization detectors provide the fire protection for the personnel in various working places. They all are relialbe, precision and durable. And their small size, portability and handy design make them highly useful in various situations.